In this workshop we will explore artist quality watercolour to understand how to use it when sketching. 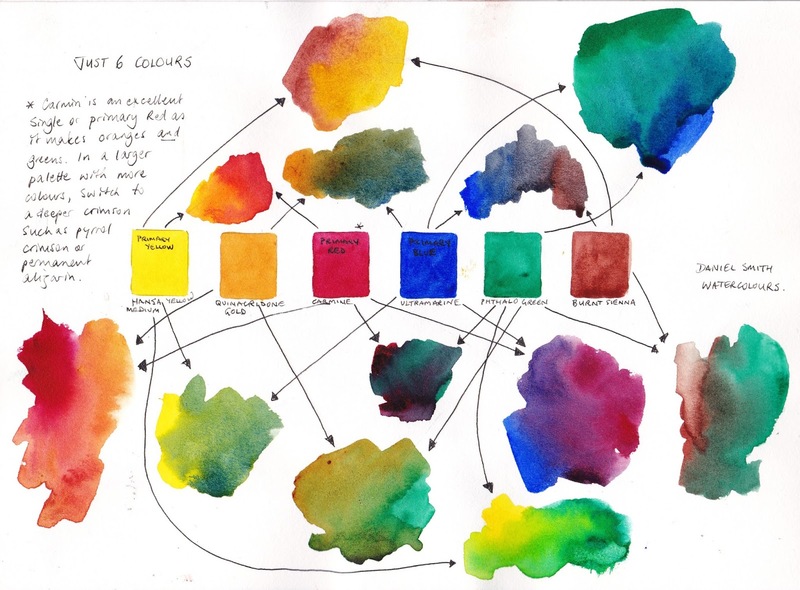 It will cover pigment characteristics, colour choices and colour mixing, to enable the participants to set up the best possible palette of colours for their individual purposes, and learn to mix them to create the exact colours they see when sketching the urban environment. To understand how to neutralize colours. To be able to set up a personalized palette that allows you to mix the colours that you need, preferably by only mixing two colours at a time. We will explore the different characteristics of pigments and show how and why certain pigments might be used when sketching. 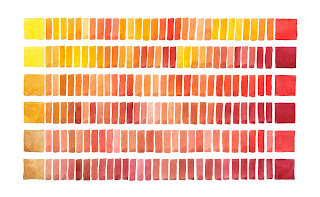 We will learn how to fill palettes from tubes, including possible additives, and how to care for brushes when sketching. We will explore limited palette setups - advantages and disadvantages e.g. a CYMK or only 6-colours. We will discuss warm and cool colours and have each sketcher identify what they have and perhaps what they might like to add or remove. Personal palette consultation with each sketcher. 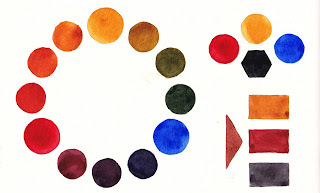 We will create triad colour wheels and explore how limited palettes can be used for colour harmony. We will paint a quick thumbnail sketch study in each triad to see how they look in a painting. Experienced sketchers may choose to work larger. Beginners may wish to spend more time on the wheels and do this as homework. Triad sketches may be classroom based or en plein air depending on time and weather. We will create additional mixing charts of numerous greens, purples, oranges but especially neutrals in a sketchbook for ongoing reference. Watercolours – bring all you have, as well as your usual palette colours. Brushes: Usual brushes plus a ¼” flat or ¼” dagger brush is VERY helpful. If you are looking for good travel brushes consider Da Vinci (e.g. Maestro size 8), Rosemary and Co (e.g. R9 squirrel mop or R2 sable #8 or R12 dagger) or Escoda (e.g. Sable #8) in particular. A size 8 with a good point will be all you really need for most sketching, perhaps with a water brush or smaller sized brush if desired.